Heading into the final round with a 21 point lead in the Championship meant there was allot of excitement and anticipation within the team. We knew it was going to be a tough weekend as the challenging Gold Coast street circuit is extremely unforgiving and passing opportunities can be limited but we had been fast all year so were looking forward to a good result. Shae had a great weekend finishing on the podium for the third round in a row racing hard amongst some very fast competition. 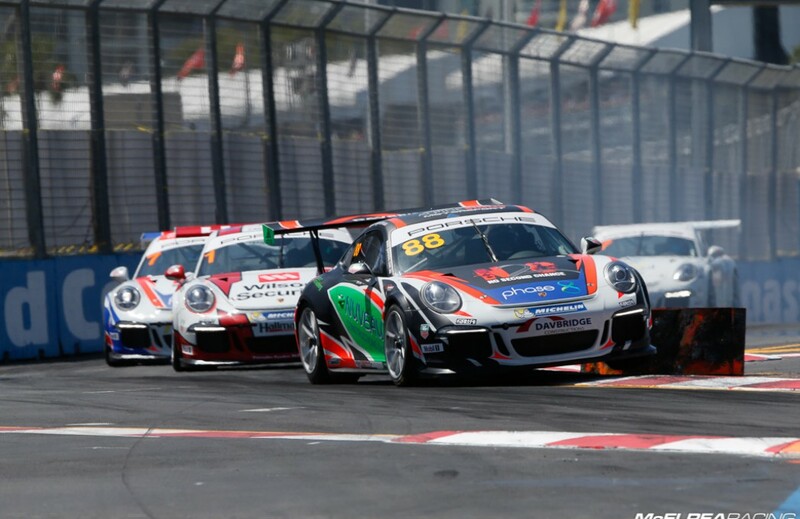 Luffy didn’t enjoy his usual success but did well to secure 2nd in the Championship for No Second Chance and McElrea Racing only just missing out on his first Carrera Cup title. The season concluded with McElrea Racing winning the prestigious ‘2014 Teams Championship’ which was a great reward for our drivers and the Awesome MR Crew who have worked their butts off all season. 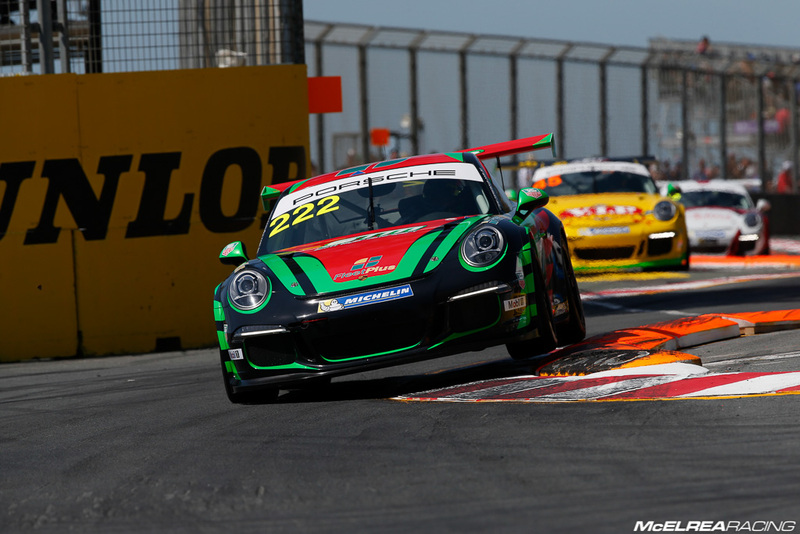 For the third race weekend in a row Luffy was co-driving with Garth Tander for the Holden Racing Team in the V8SC as well as racing for N2C in the Porsche. We knew Luffy was going to be up against it as the loan engine we were using was slightly down on power compared to our original engine which was away being repaired after our Bathurst shunt. After just missing pole by under 2 tenths of a second, he lined up 4th on the grid. He lost 2 spots between the start and turn one dropping him into 6th in race 1 and due to the tight nature of the Surfers track was unable to make up any lost ground. In race 2 he was turned around at turn 1 by Sam Power who was trying to go ‘two wide’ through the tight first chicane. After dropping to the rear of the field Luff staged a great comeback to finish 8th. In race 3 he had a great duel with Baird to finish 6th collecting enough points to hold onto second in the Championship. A tough weekend for Luffy and N2C but who still managed second in the 2014 Championship..!! Shae had a great weekend at Surfers and finished on the podium for the 3rd consecutive round. His performance also earned him 4th in the Championship after being as low as 12th earlier in the season. He got a typical blinder start to launch from 6th to 4th in race 1 and held position after battling hard with Foster and Baird. In race 2 Shae improved another position to finish 3rd after a good dice with pole sitter Russell. This was repeated in race 3 when he had to again withstand immense pressure from Russell and needed to finish second to be on the podium. This was a great way for Shae to finish his season and it was also very rewarding for the team that he posted the fastest lap in the last race. Shae drove hard all weekend to finish 3rd for the round and 4th in the Championship..!! 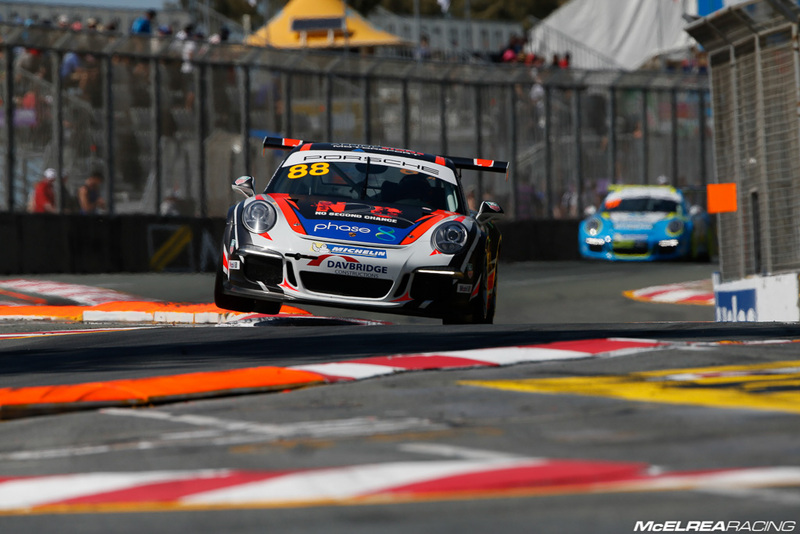 ‘Princess’ rounded out her 2014 Carrera Cup campaign with her most forceful drive of the season. Her lap times were closer to the front runners than ever before and she topped it off with a 1:14.3 lap in race 3 only eight tenths of a second slower than Championship leaders Richo and Luffy. In race 1 Renee finished 14th outright behind Grove and Bermuller. In race 2 she got her start right and managed to pass some more experienced competitors to finish an impressive 11th outright. Princess saved the best for last doing a fantastic job to catch and pass Elite front runner Shane Smollen. 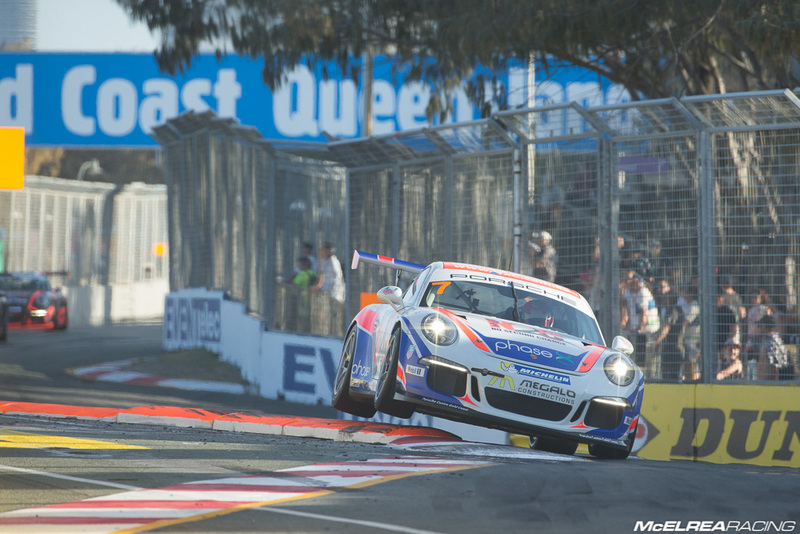 To see her finish inside the top 10 and record such impressive times was a terrific reward for the team and a great way to farewell her Carrera Cup season. We wish Renee the best of luck in the future on her pathway to the V8SCs and look forward to working with her again in the future. Gracie saved the best for last doing a fantastic job to catch and pass Elite front-runner Smollen. Tony Walls enjoyed a podium finish at Surfers last year resulting from some fast and sensible driving and was once again looking forward to a good result. After an incident in practice he recovered well to both qualify and finish in 5th in the first race. The first corner incident in race 2 adjusted the positions and he did well to avoid any damage finishing 6th. He had a great drive in the final race to finish 4th in his class which secured him 5th in the Elite Class Championship. Tony Walls finished a solid season to finish 5th in the Elite Class Championship. 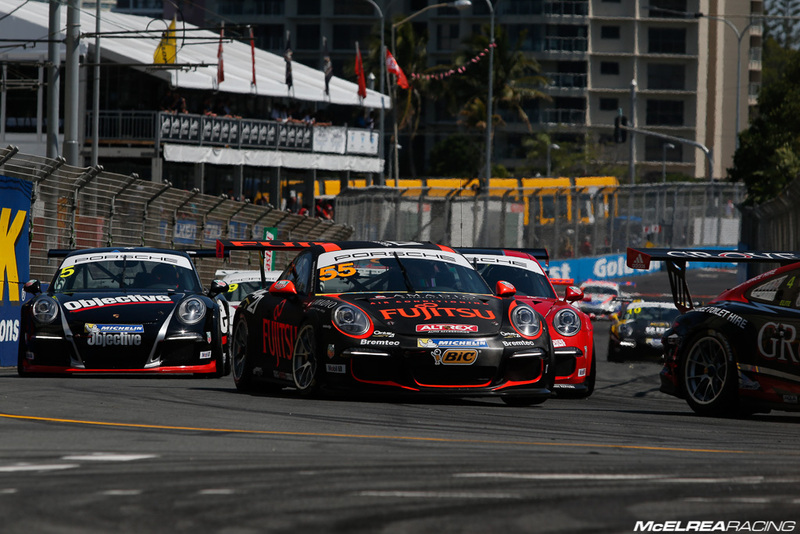 Scotty qualified 9th in Elite at his first visit to the Gold Coast circuit in the Porsche Carrera Cup. 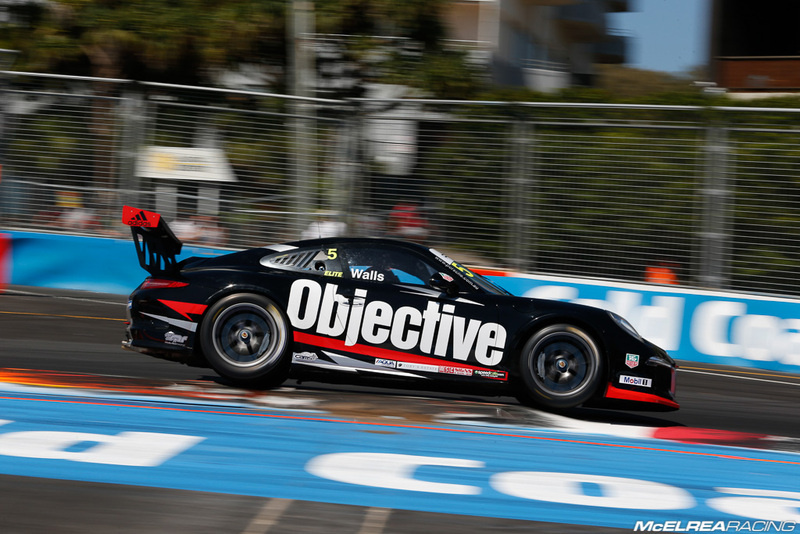 He had raced the little Aussie Race Cars around Surfers last year so had a decent idea of what to expect at the concrete canyon and did a great job over the course of the weekend recording some solid improvements. As Scotty improves and gains more confidence in the in the category he has really started to enjoy his driving citing the GC600 as his most enjoyable drive to date. Scott Taylor had a great weekend recording solid improvements at the challenging street circuit. McElrea Racing is thrilled to have won it’s second Teams Championship after first taking the title in 2011. We are also very proud of having two cars in the top 4 of such a tough championship..!! Obviously we are disappointed for Luffy as he raced hard all year and has won 6 races while Richo and Baird have only won 4 each. We would like to congratulate Steve Richards on a well-deserved championship win as he is a tough competitor but, like Luffy, one of the nice guys of Australian motorsport. Our win was celebrated in true MR style at the Annual Porsche Presentation Dinner followed by several refreshments, some of which were served directly from the ‘Teams Champion’ Cup..!! We would like to take this opportunity to thank everyone who supported us this season and we are looking forward to doing it all again in 2015..!! 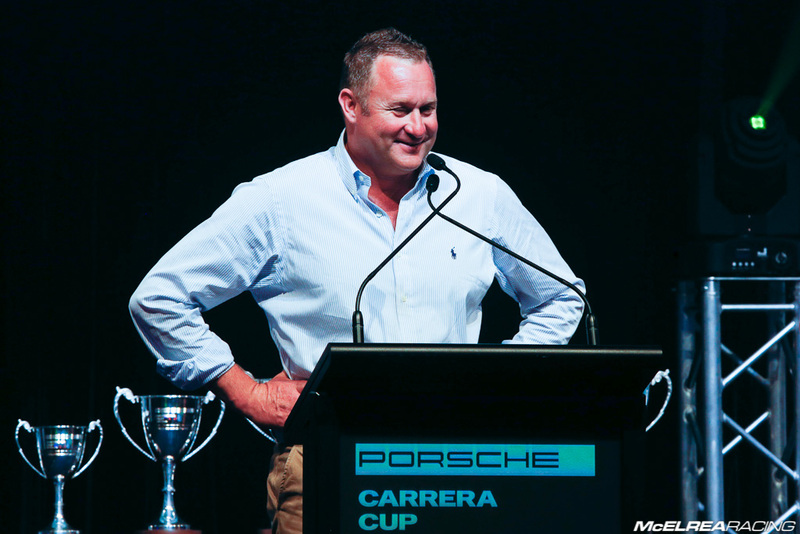 Warren Luff collecting 2nd in the 2014 Carrera Cup Championship for N2C and McElrea Racing. 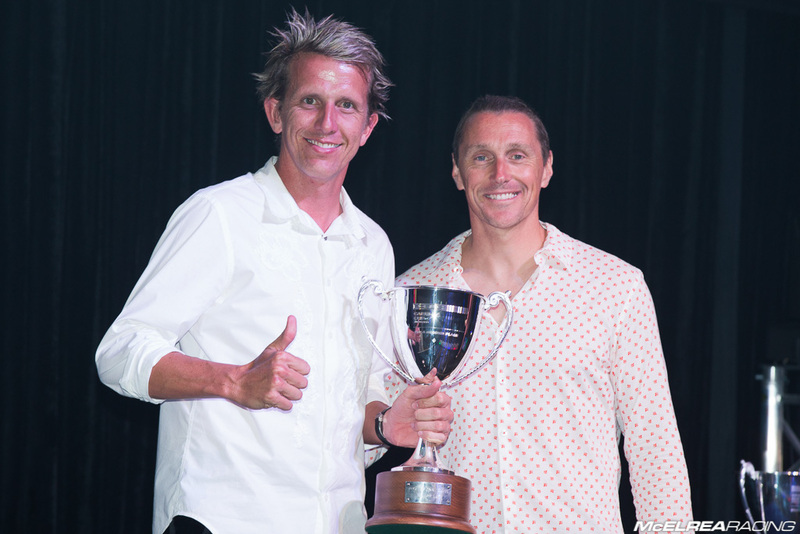 A very proud and emotional Andy McElrea accepts the '2014 Teams Championship' trophy.